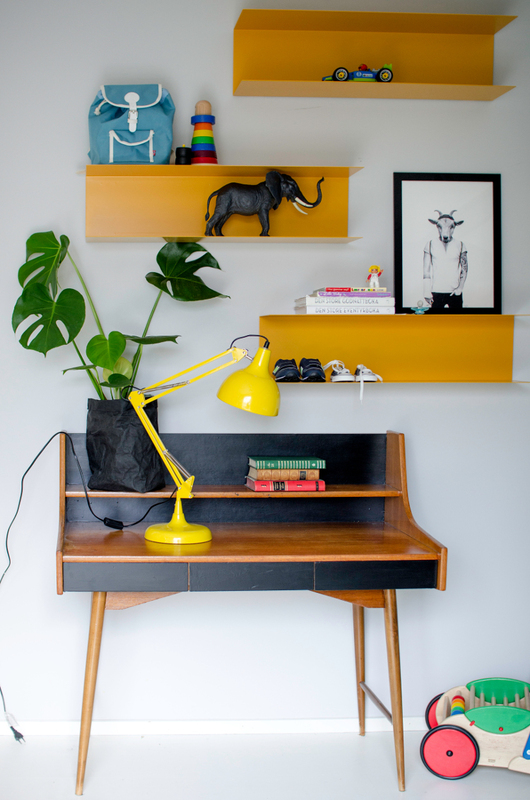 Clever ideas for a small bedroom. Do you have a troublesome storage problem? Is the answer yes? Well you’re not alone! I was called in for a project to help a family, earlier last year, looking for exactly to solve this problem. With a baby on the way, the family wanted as much extra storage as possible!! 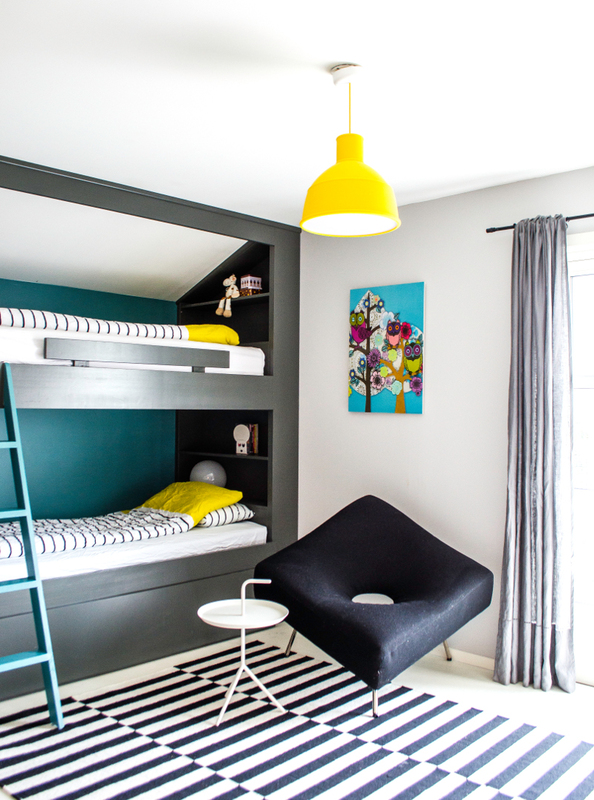 !They wanted bunk beds, extra storage for books and toys, and a double bed for guests and a walk-in closet to clothes! As you see with the pictures below I think we managed to get everything in. 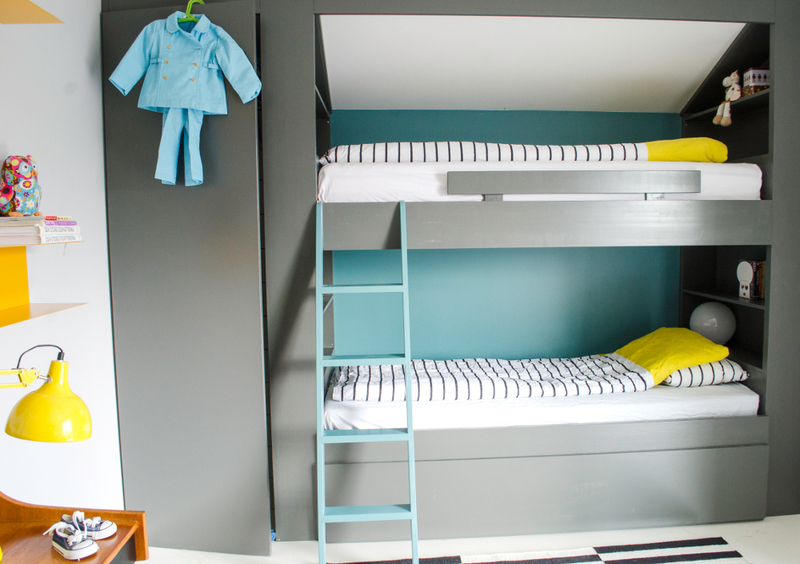 The hidden away double bed underneath the bunk beds rolls out very easy. 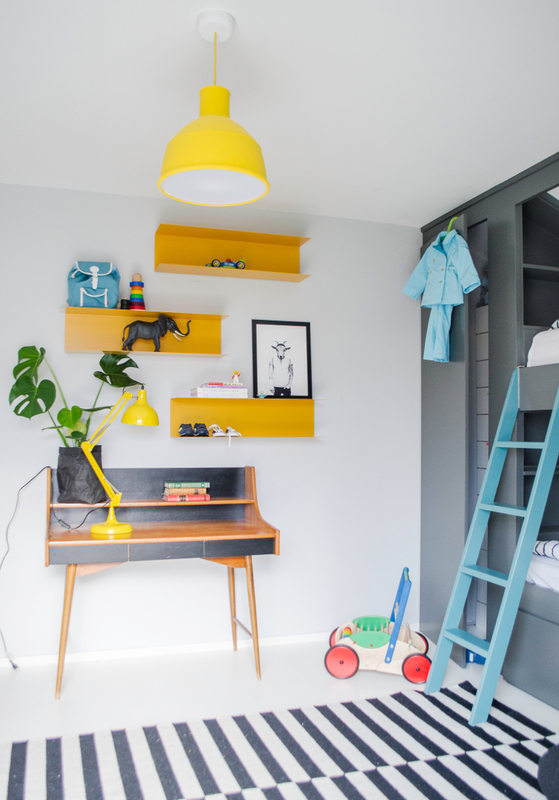 The built-in shelves at the end of each bunk gives good space for the books and toys, in easy reach. And the little walk-in closet at the end of the bed makes for easy access to hang all clothes and storage for other things. An advantage with built-in furniture it opens up the floor area for play and games for an active family. Have to say a big thank you to the fabulous clever John Johnsen, the builder. None of this would ever have been able to do without his positive ‘YES!’ he can fix it attitude. I like to hear a Yes! He’s a good man and would recommend him to anyone wanting home building jobs! Practical and functional! Great fun. You like?! nice solution :) how much did it cost to get this solution created by a cabinetmaker ? Hei Marita, hyggelig at du skriver en kommenter:-) Jeg er ikke helt sikkert hvor mye det var til slutt men det var rundt 40 000,- litt pluss eller litt minus. Men jeg synes det er en veldig greie pris for flott arbeid:-) Håper det vil gi deg en idè på prisen. Ha en super fin helg, Klem.